Nationals 2018 is right around the corner! As we get prepped for College Dodgeball’s 2017-18 ‘season finale’, let’s take a look at the new Power Rankings for the month of April. Below is the official Power Rankings list produced by NCDA Executive Board members Jacob Leski (Director of Recruitment and Retention), and Kevin Bailey (Chief of Content). For this Pre-Nationals Power Rankings list, we included Hunter Ford (Director of Nationals) to give his thoughts on the top 20 teams in the country. Please keep in mind: these power rankings have no impact on the actual NCDA Standings. Hunter Ford: The fact that CMU has to get a +1 for this month is still silly to me *sips tea slowly*. Anyway, once again, the Chips are back on top. 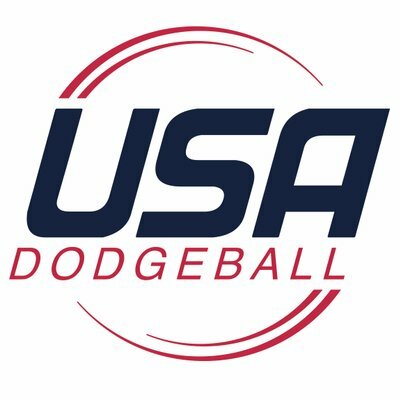 After defeating other Power Ranked teams in GVSU, SVSU, and UWP they have continued to prove they are the best college dodgeball team in the country. At this point, it’s championship or bust. Kevin Bailey: Central Michigan bounced back in a huge way after their loss at MDC. The Chips took it to GVSU in a match that would likely determine the 1-seed for Nationals. Can Central keep playing at such a high level at Nationals? Can they finally put an end to the streak of runner-up finishes to GV? Austin Brege is my choice for most improved player in the country from last year to this year. He will be one of the keys to their success on April 21-22. Jacob Leski: The Chippewas went onto Grand Valley’s home court, and in a game that will more than likely determine who gets the #1 seed, won in epic fashion. Cruising to a 4-0 lead at halftime makes it hard for one to wonder if the Chips MDC meltdown against GVSU was a true fluke. Based off what I watched, and what I heard from multiple perspectives, CMU looked the best they have all season long. That is great timing with Nationals only two short weeks away. My only concern for this team is their lack of numbers. I don’t expect them to bring a full 18 players. In fact, I only expect them to bring 12 exactly, which makes it hard not to speculate if the long weekend will make a difference. HF: The Lakers fell to new #1 CMU but took care of business against SVSU and UWP. While GVSU has the rest of the league on edge, their in-state brothers in CMU still lurk. I won’t act like they don’t have a chance at competing for the national championship, but chances are looking slimmer and slimmer. KB: Wow. Grand Valley absolutely fell apart in their most recent game against CMU. Yes, the Lakers took down SVSU later that day, but in the game against CMU they played as lazy as I’ve ever seen a GVSU team play. Time to look forward, as Nationals is only about a week away. Can GVSU make it a 6-Peat? If they get back to playing like they did at MDC, that is very possible. But if they show up and play like they did at their last tournament, they ain’t making the Final Four. Turns out being the best team in the country year after year isn’t just a birthright for GVSU. JL: I will be the first to say that I am not one bit concerned about this squad’s ability to win a 6th straight National Championship. Yes, they have a measly 1-4 record against CMU this year, but no other squad has beaten them. Towson took them to OT and should have won, which is very impressive. We all know how that one ended (shoutout to Michael Hinely!!). A huge advantage the Lakers have going for them is the return of Ben Tubergen. He was approved by the Executive Board to be allowed to play out his senior season at Nationals. Regardless of their poor performance against the Chips, I expect them to return to the National Championship to play against the Chippewas for a fourth consecutive year. HF: JMU took down power ranked teams PSU, OSU, and UVA at PSU’s Rally in the Valley a few weeks ago. Aside from a poor first half against PSU, they looked strong the rest of the event, outscoring opponents 12-4 over the course of three games. It is my personal belief that JMU has the best shot at knocking off CMU, and with players like Schilling, Eschenburg, and McGurl leading the way, they will be a tough team to beat in overtime. KB: The college dodgeball world would love to see GVSU’s streak finally come to an end at the hands of CMU. But they would love it even more if the streak was ended by a team outside the state of Michigan. James Madison is the best shot at that happening as far as I’m concerned. They have plenty of talent, they just need to put it all together at Nationals. I really think there is a chance JMU finally makes the National Title dream a reality this April. JL: As I have said many times before, I am a very big fan of this squad. I believe they have more than enough talent to make it to the National Championship, let alone the Semifinals. As Evan Eschenburg stated in his Baller of the Month interview, this team has shifted its focus away from individual success to team success, which takes more time than one would think, and I believe that it will finally all come together come 4/21. This will also be the last hoorah for JMU legend Doug Schilling, who will be looking for nothing less than a championship. HF: The Tigers did not play in the month of March, presumably because they care more about the #TUSportClubsChallenge than anything else. All jokes aside, they did wrap things up at their home tournament with a clean sweep. We know what Towson is capable of, which is why they are currently at #4 on the power rankings. This team has the pieces to make a late season push, and has matched up well against teams like GVSU, SVSU, and Kent, who are also legitimate championship contenders. KB: Don’t listen to what Mr. Leski is about to say about Hinely, because he is still one of the best players in the country as far as I’m concerned. Towson has the top end talent to put together a solid run at Nationals. They were so close to making the Final Four last year, but now it is sort of the expectation for this team. Biggest question for me is if they have the stamina to make a deep run on Sunday of Nationals? Can you imagine a JMU vs. Towson final? All East Coast final at the first East Coast Nationals… Just figured I’d mention it as a possibility. JL: Would love to see this squad get another shot at GVSU. However, if you take them to OT again, I would refrain from putting Michael Hinely in your overtime six. At the very least, don’t give him a ball when there is only one person left on the opposing side. In all seriousness, there is nothing I would like to see more than for this squad to make it to their first ever Semifinals. They are more than deserving, but they have to bury the hatchet of last year’s collapse against MSU by this point if they want to get over the quarterfinals hump. HF: Kent’s last tournament was at the Ohio Dodgeball Cup where they took down BGSU, Ohio, and BW. A couple members of the content team have them making a far push at Nationals, and it would be nice to see. 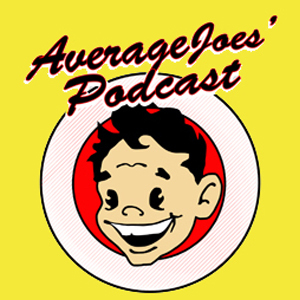 The past two Nationals they hit a wall during the quarterfinals, but with the re-introduction of Matt Rosso and an extremely talented and veteran squad, the dodgeball world should be excited what the Golden Flashes bring to the table. KB: I think a lot of people are overlooking the vast amount of experience and talent on Kent’s roster. They once again will be a huge threat to make the Final Four this year. Given the right matchup in the Quarterfinals, I could see it happening. This team has the ability to play up to the level of their opponents. I wouldn’t be all that surprised if they pull an upset at Nationals and make a serious run at the title. JL: Other than Central Michigan respectfully, there hasn’t been a team that Kent has had trouble defeating or keeping it close with. They have always had an incredible combination of veterans and younger players that is a major reason why they are always in the discussion for making the Final Four, or in Felix Perrone’s opinion, the National Championship. They are coming off an ODC championship, this squad is ready to make some noise, don’t be surprised when they do. HF: Two losses to CMU and GVSU with a tough win over underdog MSU hurt the Cardinals in this month’s Power Rankings. Perhaps dropping them three spots is a lot given the tough competition, but in a Power Rankings list it’s always a ‘what have you shown recently?’ What we have seen is top-level talent, but some questions of depth and injuries. A healthy SVSU squad is dangerous. An overtime SVSU squad is even more dangerous. And a disrespected, disgruntled, and disgusted SVSU squad is probably the most dangerous. KB: Yes, we dropped SVSU 3 spots this month. They did not live up the the hype at their most recent tourney, taking losses to CMU and GVSU, while escaping with a close win over MSU. But let’s put that behind us, because I still think this is a group that can win the title. Seriously. For the first time maybe ever, I think at least 6 teams have a legitimate chance to take home the trophy in April. Nick Hazergian is going to hand out plenty of bruises at Nationals. And the supporting cast will catch teams off guard with their coordination and ability to capitalize on momentum. When SVSU is hot, they are very hot. But if they are cold, there is a chance they don’t make it any farther than the Quarterfinals. JL: Don’t get me wrong, I think this team is damn good, but they are a clearly a whole tier below CMU and GVSU. They kept it somewhat close with CMU, but were decimated by GV for another time this season. Their biggest downfall this year is their inability to stay healthy. I have heard multiple rumors that SVSU’s top three players are all battling injuries, some more serious than others. With only 2 weeks left in the season, hard to imagine how this doesn’t affect this squad after a long weekend of dodgeball. HF: During the month of March, BGSU picked up two wins against Ball State and SIUe. While sizable wins, they were expected for the Falcons, so their placement on the list has not changed since last month. It’s hard for me say how I feel about BGSU’s chances at Nationals. On one hand, they had a stellar first semester, posting an 11-3 record which included wins over Towson and Kent, and a tough overtime loss to #1 CMU. However, in the second semester they have struggled pretty noticeably against Kent, losing both games 4-1. They still have a shot at making a good run, but where I once saw championship contenders I feel like that glow has faded a bit. KB: BGSU has not been as good this semester as they were during the first half of the season. With that said, we all know what they are capable of. They took CMU to overtime after holding a 2-0 lead earlier in the season. If they can put together another performance like that 10 days from now, all bets are off. This is the best BGSU squad I have ever seen, and they have the pieces to make a Final Four run. JL: I stand by my comment that this team will make it to the Semifinals. Yes, all of that depends on who they are matched up with in the quarterfinals, but I have the utmost confidence that they have the talent and team chemistry to make it happen. Correct me if I am wrong, but barring a bad showing on Day 1, this squad should have an easy road to their first Quarterfinals appearance in 4+ years. HF: The Spartans appear to continue their improvement during this rebuilding phase, and picked up a good win against UWP 5-2. I don’t know as much about this team as I should, but if NCDA All-Star Captain Grant Webber was willing to take Freshman Payton Schuster as the 5th overall pick in the 2018 All-Star Draft then they must have at least one stud on their hands. KB: Michigan State’s game against SVSU last month was their best performance of the season (despite the loss). This is another team that can really play some tough dodgeball when they have the momentum. Noe Galaviz was playing very well in that game, and the supporting cast of seasoned veterans + talented rookies is starting to come together nicely. I’m telling you, this group has what it takes to pull an upset or two at Nationals. JL: They are currently ranked 10th in the Gonzalez Rankings, but I see them moving all the way up to 8th after a productive day on Saturday. This young core is going to benefit greatly from Nationals, and I find it hard for them not to only get better as the weekend progresses. KB: Time for VCU to put it all together. The hosts for Nationals will look to defend their place as a top 10 team, and challenge for a spot in the Quarterfinals. A lot of that will depend on matchups, but VCU needs to get back to performing at their potential. The loss to UMD last month has me a bit concerned, but hosting Nationals could be just the type of boost they need. JL: The hometown heroes finally get their shot to prove to everyone that they are the real deal. All I want to know is this: Is Shadeed “The Dream” Drakeford worthy of a 1st Team All-American nod? Many believe he is, but I am not so sure just yet. The last time I saw him play was at last year’s Nationals when he caught Colin O’Brien 3 times in 1 point. I guess all there is to do is watch him play. HF: Fun fact, the Nighthawks are the only undefeated team left in the country with a blemish-less 8-0 record. While they haven’t had the most outstanding strength of schedule by any means, I was impressed by the talent they do have when I had the chance to watch them play. A deep Nationals run might not be in the works but they are certainly capable of giving some teams a run for their money. Unfortunately, I know they will be missing some players at Nationals this year which makes their chances even tougher. KB: North Georgia will finally be tested by some out-of-region schools at Nationals. UNG is undefeated, but have yet to play a team outside of the South Region. They are the biggest wildcard heading into Nationals, as it really is difficult to gauge where they stand in comparison to other teams. Will Kyle Dattelbaum conserve enough energy on Saturday to play well on Sunday? Hopefully that is the case. JL: I am an avid supporter of this squad. There is a lot of hype surrounding them, however there is a major concern with the lack of quality opponents they have faced so far this year. As of now they are undefeated, and I have the utmost confidence they can go 3-0 on Day 1 of Nationals (pending they do not play anyone inside the top 7), and go as far as the quarterfinals. HF: The Bobcats are another school like BGSU that confuses me a bit. They have had some strong performances this year against some good competition, but the only upsets we’ve seen out of them have come against PSU and UK and a ton of close losses. Additionally, they were a late drop from the Redhawk Rampage which would’ve given us a clearer image of the team going into Nationals. I think they are capable of a deep run given the right matchups because they work well as a team and rely a lot more on catching than throwing for success. That being said, it helps to have a Superstar player, and a Superstar player they do not have. KB: Ohio has been right around this spot all year long. They have not been able to pull off any big upsets this year, which would’ve helped them jump up the rankings. Still, I am happy with the progress this program has made over the past few years. JL: What happened to these guys? They used to be the ones that talked smack before every game. The last 4 months there has hardly been a peep out of their camp. Are they starting to lose faith in what they can achieve this season? I hope not, because just two years ago they went 0-29, and now they are ranked in the top 15 in the country. HF: The RedHawks continue to surprise everyone in a good way after a solid showing at their home event. They picked up wins against Ball State, WKU, and most notably UK. At 12-7 this year they are in a good spot, and have some budding stars. The biggest thing I question with Miami is consistency. We’ve seen them beat teams like Ohio, Akron, and UK, but also lose to those same teams as well. For them, the key will be sustaining success. KB: Miami has been the biggest pleasant surprise of the season for me. I failed to place them in my initial Way-Too-Early Rankings. That was a mistake on my part, as they are on the verge of finishing the season as a top 10 team. Also, a little birdie told me Tom Morand will be on the MVP short-list for next season. JL: Tom Morand and company have come A LONG way since last season when this club arose from the grave. Credit to this young core on working together to establish a strong culture within this program. Their 3-2 victory over UK was huge for this program, more then they possibly could know. HF: Maaaaannnnnnn if they could’ve beaten JMU they would’ve been higher for sure. But they didn’t. At least they still got two other wins to salvage the day. Overall, I think a lot of teams will underestimate the talent of the Nittany Lions. They have good catchers, throwers, and everything in between. By Nationals, Jarod Baker should be back from injury and will add even more firepower to this team. KB: Gotta admit, PSU holding a lead over JMU at halftime in their most recent tournament has me very excited for this team at Nationals. I know they are talented, but they have come up short the last few years of taking the next step. Could this be the team that makes a surprise appearance in the Quarterfinals? Don’t count them out. JL: I ragged on this team earlier on in the semester, and while I do not take back anything that I originally stated, I do believe this squad has made progress since then. Are they talented enough to make it past the first round? Absolutely, in fact if they can move up to the 7-10 spot after a strong showing on Day 1, I expect them to do just that. HF: Unfortunately, the Pioneers got the short end of the stick during their campaign to Michigan, falling to GVSU, CMU, and MSU. All is not lost though, it was certainly a tough gauntlet of games many teams would not be able to get through easily, and the play against tough competition will help them in the long run. Being a young team with relatively few known players they will certainly be tough to prepare for, but having a young squad also means some difficulties as they prepare for Nationals. KB: UWP dropping in the rankings is more about the improvement of the two teams just ahead of them than it is about them regressing. Trust me here: Wisconsin Platteville is a PROBLEM at Nationals. Has been that way for years, and I expect nothing different this season. JL: This team’s leaders chose to play against the best teams all season long. Will that pay off for them come Nationals? I believe that has been there plan all along, and I have to believe it was a wise one. HF: Kentucky has pretty much been hibernating relative to their team from a year ago. I have to think the lack of games has been making it tough for them to get the proper experience they need. After a slow start against Miami, they were able to rally back to bring it within one, but ultimately fell short. This has been an issue for them this season. They will need to get more production in the first 25 minutes of games like they do in the last if they hope to keep their quarterfinal streak up. KB: Where did Kentucky go this season? I don’t want to take any shots at them right now, because they have one tournament left to make up for their lack of production all season. UK’s streak of Quarterfinals appearances is in serious danger. They have their work cut out for them next weekend. JL: There is a lot I would like to say about this squad that I am going to refrain from stating, primarily due to Mr. Bailey asking me to be nice this time around. On the other hand, this is not the same Kentucky squad from years past. In fact, I believe Miami’s victory over UK was UK’s first loss to the RedHawks in school history. Something to think about…But I expect this young crew to gain valuable experience from Nationals that will benefit them for next season. HF: For the Cavaliers, the biggest issue this season has been getting everyone on board for travel. With Jeremy Shaw out of commission on the offensive end, that takes away another thrower on an already limited throwing team. Still, I like the Hoos chances come Nationals. They’ll be an easy one hour drive away from home, and should have close to a full squad in attendance. KB: Virginia was one of the teams I had the most optimism for at the start of the year. Despite Shaw’s unfortunate injury, I still have faith that this team will show us some flashes of greatness at Nationals. Would love to see them pull a few upsets. HF: The Fighting Hulbert Starr’s are hanging in there. I appreciate this team’s commitment to playing tournaments all the way through even with limited numbers. Unfortunately, their depth is a concern for me, as the team seemed pretty gassed in their third game of the Rally in the Valley against JMU. As the names imply, Jeff Starr and Jacob Hulbert can certainly be viewed as a cut above the rest of the league. If they want to make any legitimate noise at Nationals though, they will need to have more players who are willing to throw and take the load off those two. KB: I sound like a broken record here, but this has not been the ideal year for OSU with their young (and not completely healthy) roster. Nationals provides them with a great opportunity to make a major statement heading into the offseason. Best of luck to Mr. Starr in his final tourney. An OSU Dodgeball all-time great. JL: Does Jeff Starr finally get a 1st Team All-American nod? He is more than deserving, what hurts him is he is on a team that is rebuilding. Rarely do great players on below-average teams make the cut. HF: Akron hasn’t played since the Ohio Dodgeball Cup, so there’s not much new to report here. In a similar way to OSU, I think they have some good top-level talent in their roster, but getting more reliability and work out of more players is an issue. On the bright side, even in the games they’ve lost it has been fairly manageable games. The Zips can definitely catch a team off-guard if they come in well prepared, and I think the large pool of games will help them both on Saturday and Sunday at Nationals. KB: I’ll admit, I have been disappointed with how Akron has performed this year. They just haven’t been able to get over the hump and pull off a few upsets. Well, no time better than the present. JL: This squad will be a tough team to draw on Day 1 of Nationals for one primary reason: No matter how bad they are losing, they will not stop fighting. They will go 100% every single point. That is a testament to the culture that Adam Pfeifer, Sam Saccareccia, and Colby Briceland have developed with this squad. HF: The Terps have entered into the power rankings for the first time this year, thanks in part to their big overtime victory over VCU. Nathan Stock has proven to be one of Maryland’s best, and gained a lot of recognition from his East Coast counterparts from the past few weeks. Jacob Dobich has also developed a solid throw, providing that Maryland has the top pieces to be competitive. We will just have to wait and see if they can pull off more upsets at Nationals. KB: Welcome back to the Power Rankings, Maryland. UMD’s win over VCU recently really shocked me. They clearly are making progress. A true darkhorse team heading into Nationals. After spending much of the year under the radar, UMD could take a massive step forward with a few upsets at Nationals. JL: Nice to see the Terps make a splash on this list after being off of it for a very long time. They are making moves at the right time, with Nationals next weekend. HF: Before I get into any dodgeball specific stuff, I need to give a shoutout to the GSU squad for raising over $300 for Save The Children, one of the NCDA’s partner organizations. This was a huge fundraising effort on their part and they need to be properly credited for it. Now, with that aside, I’m very interested in seeing Southern at their first ever Nationals. Captains Zach Rivera and Zach Frangi made the trip last year to Kentucky to officiate and participate in the All-Star game. Hopefully their wisdom will be passed along to their team. KB: Can’t wait to see GSU in action at Nationals. The South region continues to take steps forward as the most exciting young region in the sport. Nationals will be another opportunity for GSU to grow as a squad. They must be so excited to see how they match-up with some out-of-region squads. JL: Very excited for this squad to attend their first ever National Championship. 3 teams will be representing the south region this year.